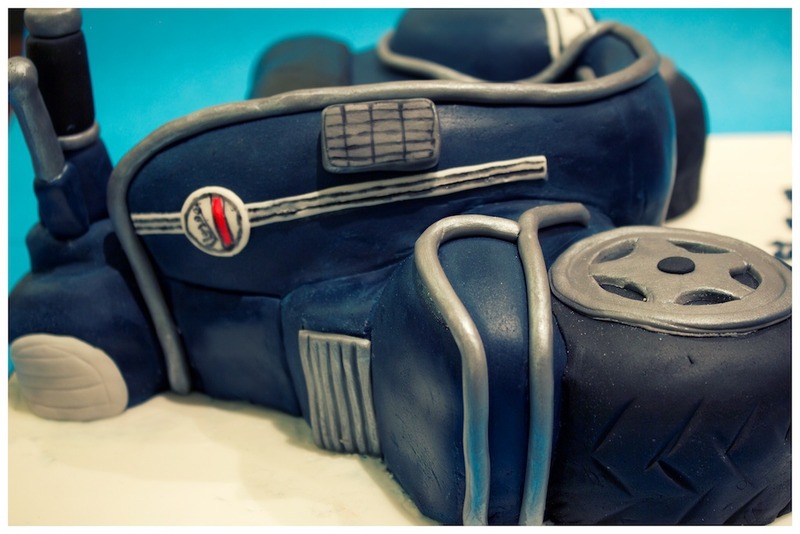 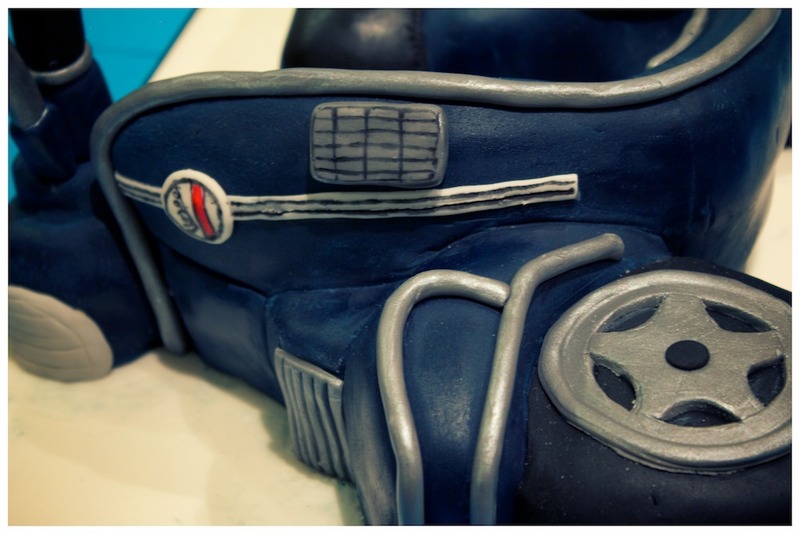 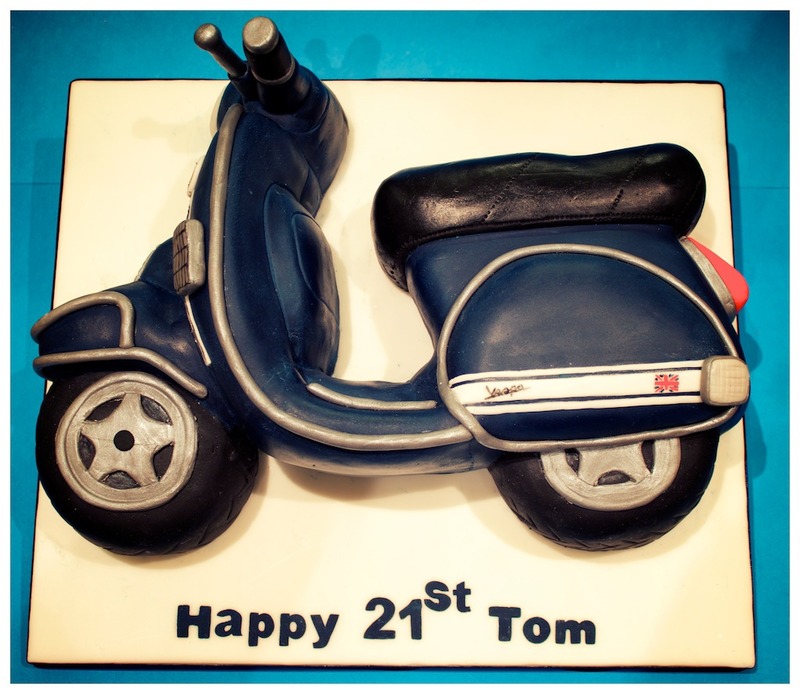 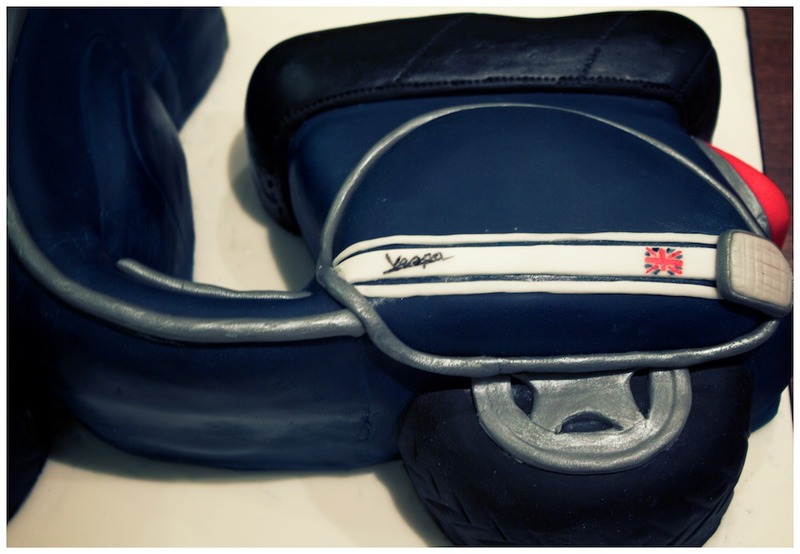 Birthday cake based on a 2007 Vespa PX 125. 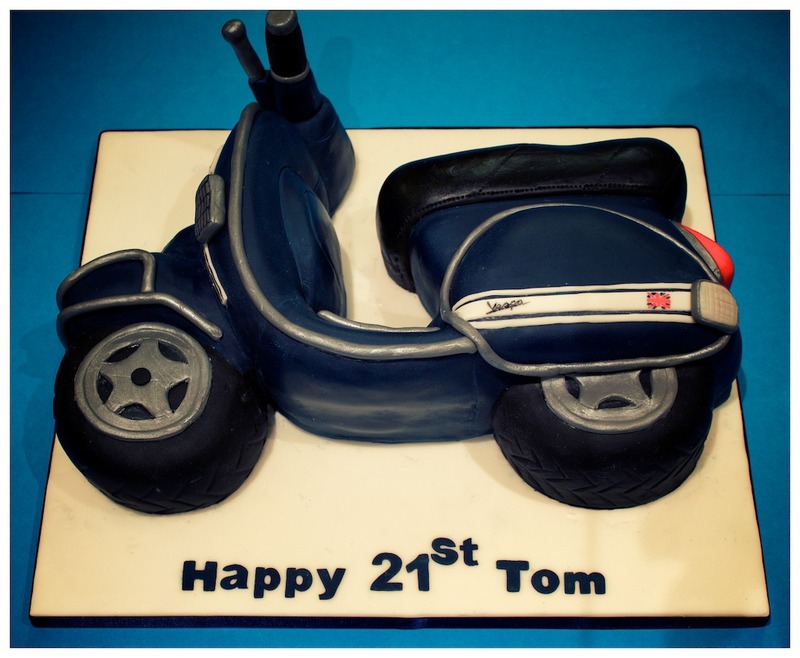 Vanilla sponge, buttercream filled cake hand carved and covered in fondant/sugar paste. 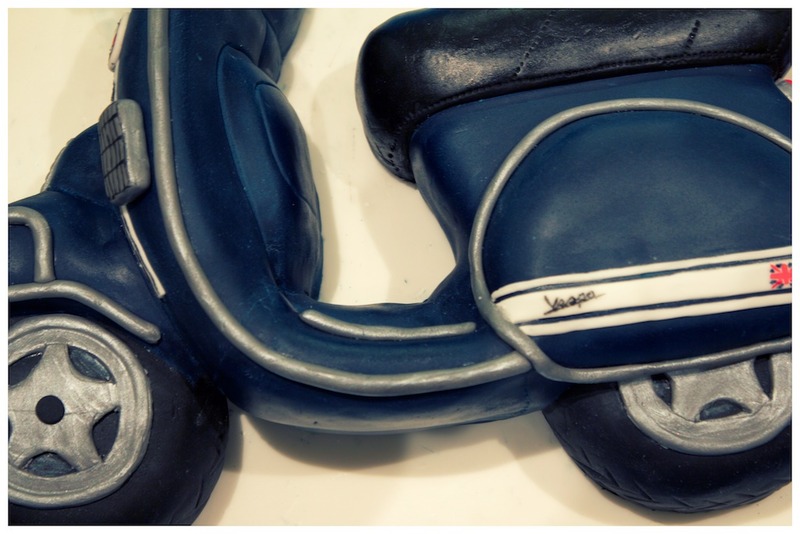 Detailed with fondant "chrome brightwork" and hand painted detail.